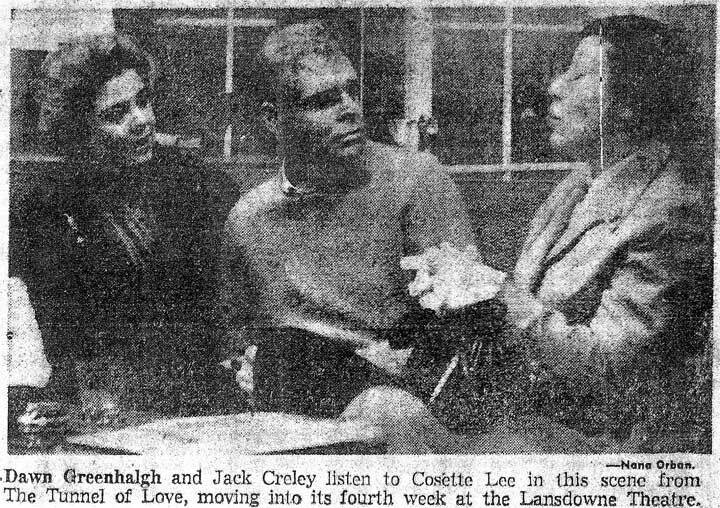 At right is a later photo of actor Jack Creley, who played Laslo Thaxton on Strange Paradise. 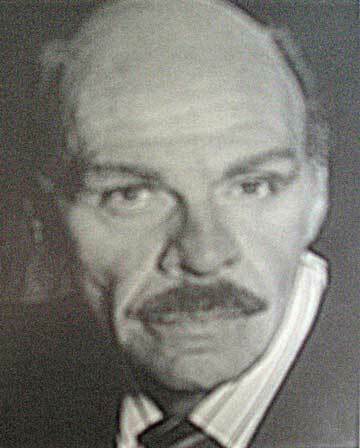 This particular photo was taken in the mid 1990's, and, contrary to his appearance on the show, shows Jack Creley sans his hairpiece. One of the clothing items that was synonymous with the character of Irene Hatter was her kaftan, an item that she wore regularly. 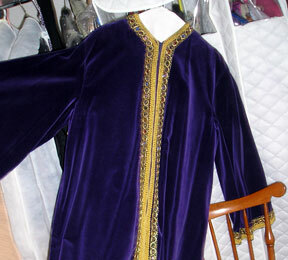 At right is a photograph of the actual kaftan worn by Pat Moffatt as Irene Hatter. A closeup of the garment reveals that it actually was to have a more intricate design, the pattern for which was drawn on the kaftan but never filled in. 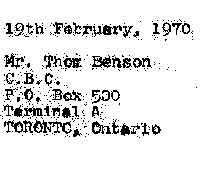 At the request of the CBC, Krantz Films sent a breakdown of production costs, indicating the costs for actors, design, direction and other expenses. 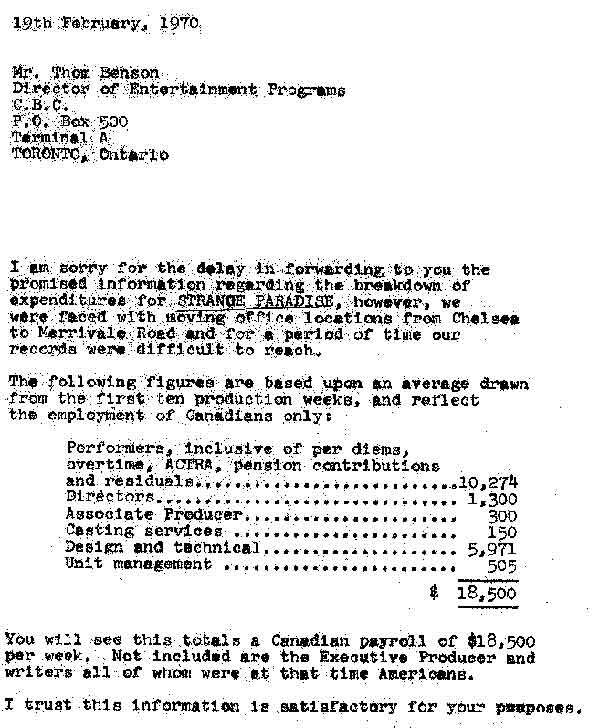 In total, the weekly costs (Canadian only) for Strange Paradise totalled over $18,000, which eventually led to the production operating in the red and being unable to sustain itself. In the mid-1970's, Strange Paradise began another round of syndication, airing in prime time in certain US Markets. In the Chicago area, the show aired on WSNS-TV, channel 44, whereas Strange Paradise's better known counterpart, Dark Shadows, appeared on another UHF station, channel 32. 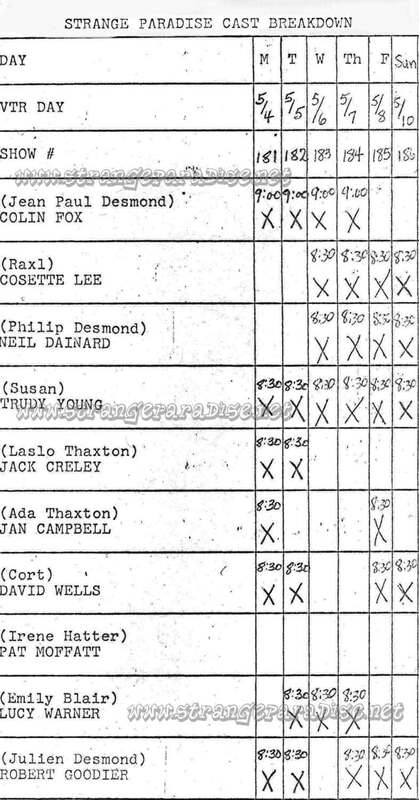 Whereas Dark Shadows aired late nights (at 11pm), Strange Paradise aired in prime time, starting at 8pm. 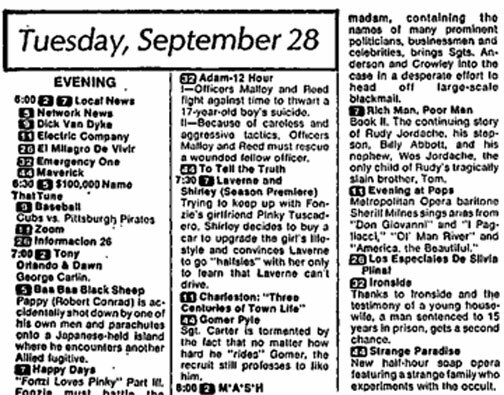 The link on the right shows the TV listings from the Daily Herald for September 28, 1976, announcing the premiere of Strange Paradise. Strangeparadise.net brings you a special archive item to kick off the month of December. 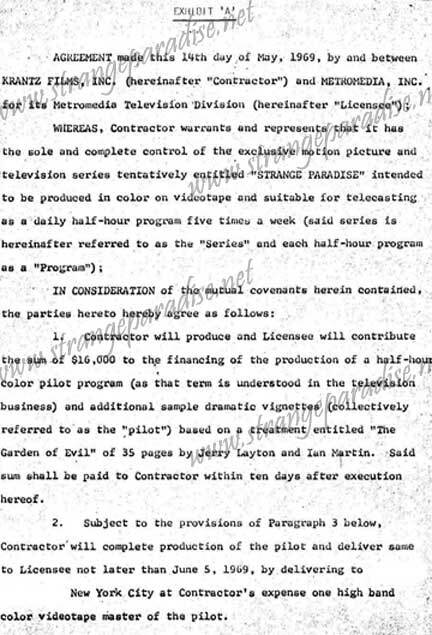 At right is a page from the original agreement between Krantz Films and Metromedia Broadcasting, outlining the particulars for the creation of both the Strange Paradise pilot and the "Vignettes" sales reel. As outlined, Metromedia Broadcasting agreed to contribute $16,000 to produce both the pilot and the Vignettes. 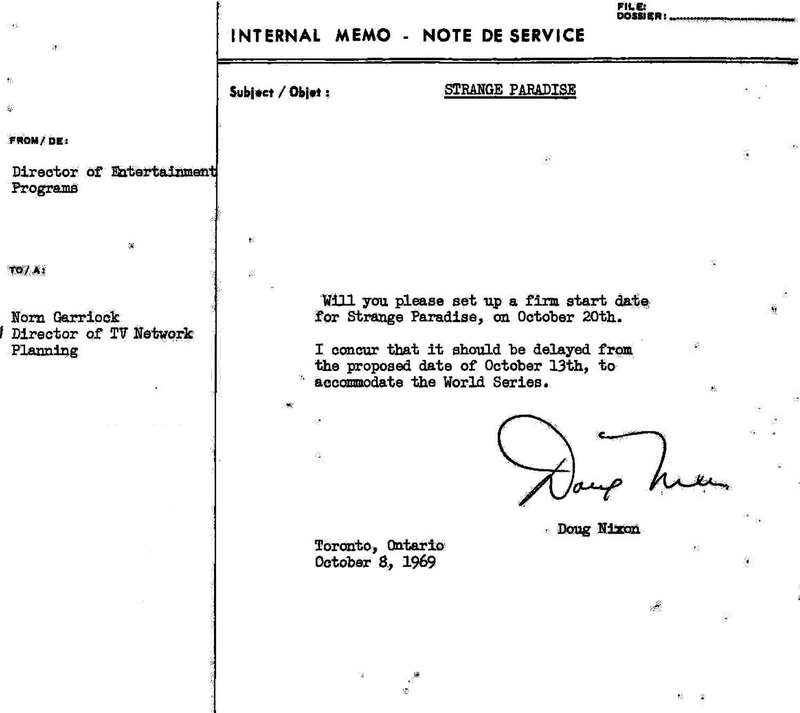 In exchange, Krantz Films was required to have the completed pilot and sales reel delivered to Metromedia in New York by June 5, 1969.